Follow the website link for more T&Cs. We have a range of offers running plus you can get in touch to create your own bespoke package! 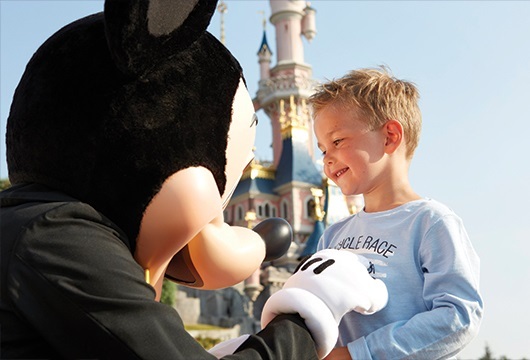 Imagine a Disney® Village, where fun and entertainment stay open day and night. Seven Disney® Hotels, where sweet dreams come true in the very heart of the magic. Imagine you are here... In a Resort as big as imagination itself. Welcome to Disneyland® Paris. A holiday destination like no other.